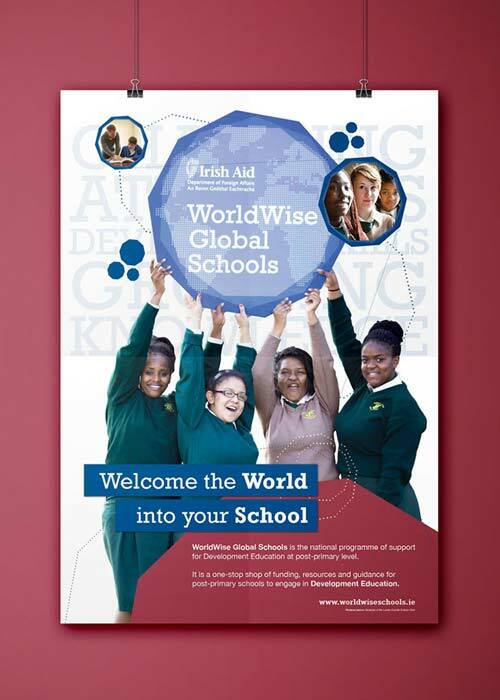 WorldWise Global Schools (WWGS) is the Irish Aid programme of support for teaching development education at secondary level. Development education focuses on global issues such as poverty, health and equality. 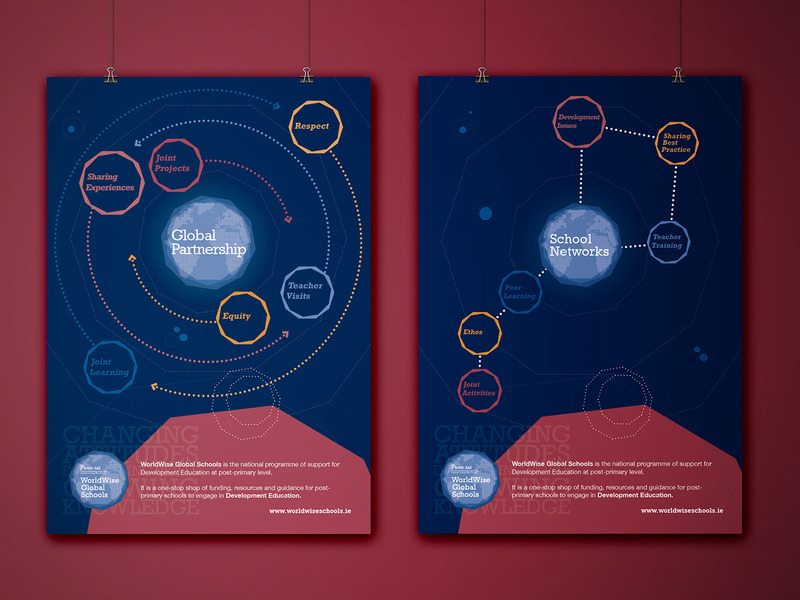 I was tasked with re-imagining how WorldWise Global Schools presented themselves publicly. 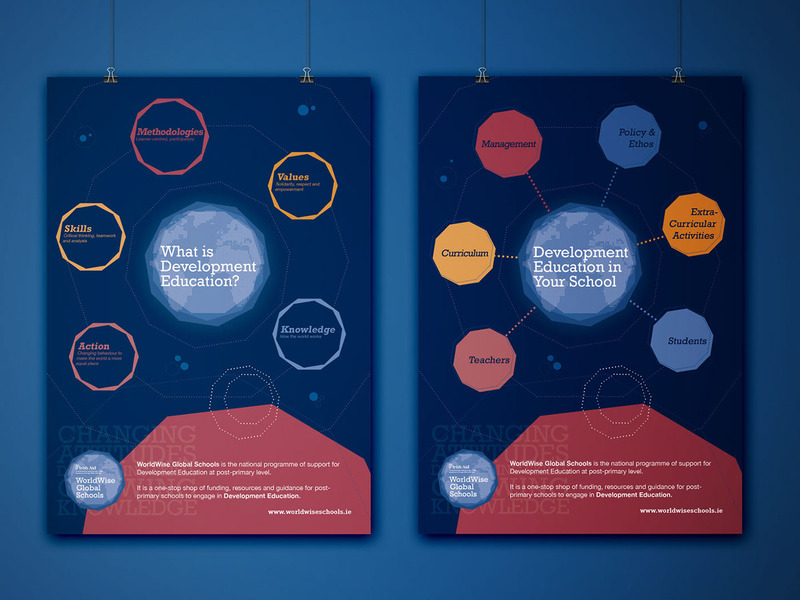 The print material and graphics produced for this project seek to illustrate how development education can be implemented into the school syllabus and involve both teachers and students. 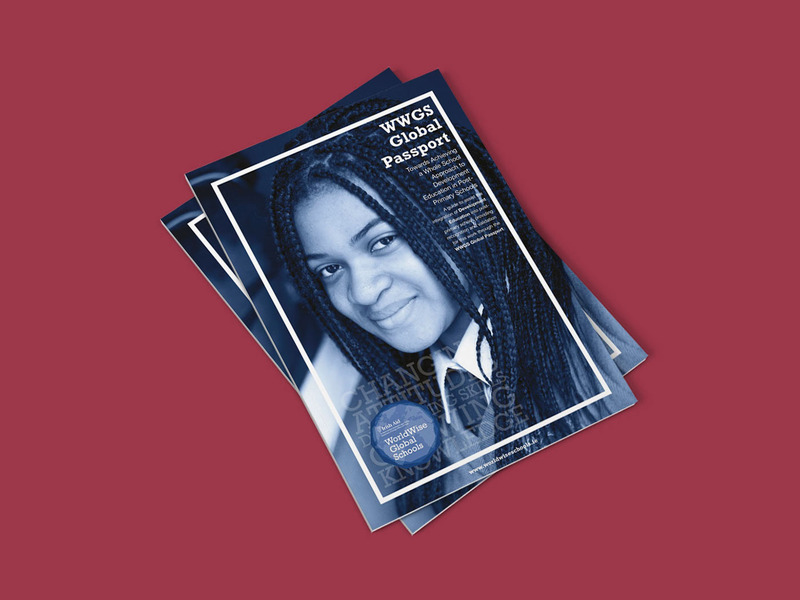 The basic concept behind this new suite of print materials was to use a solar system theme to parallel the links between different global issues and how they can be addressed in multiple subjects being taught in Irish secondary school. 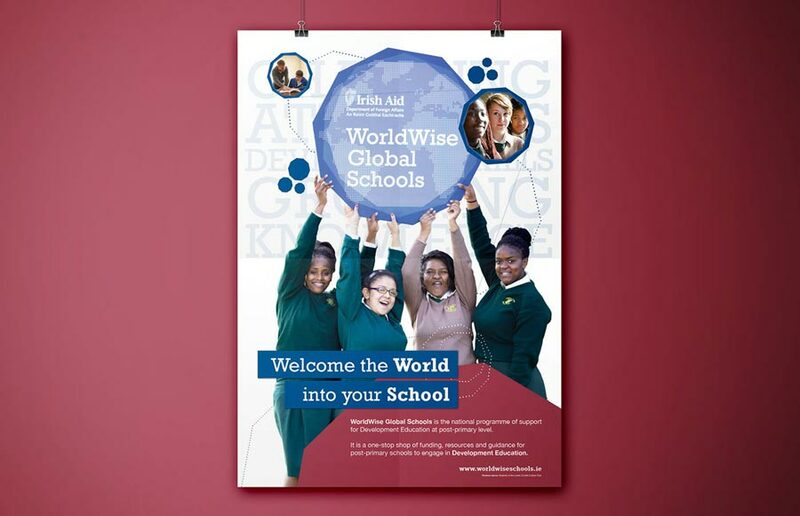 The above brochure opens out to an A1 poster which is intended to hang in teacher staff rooms. 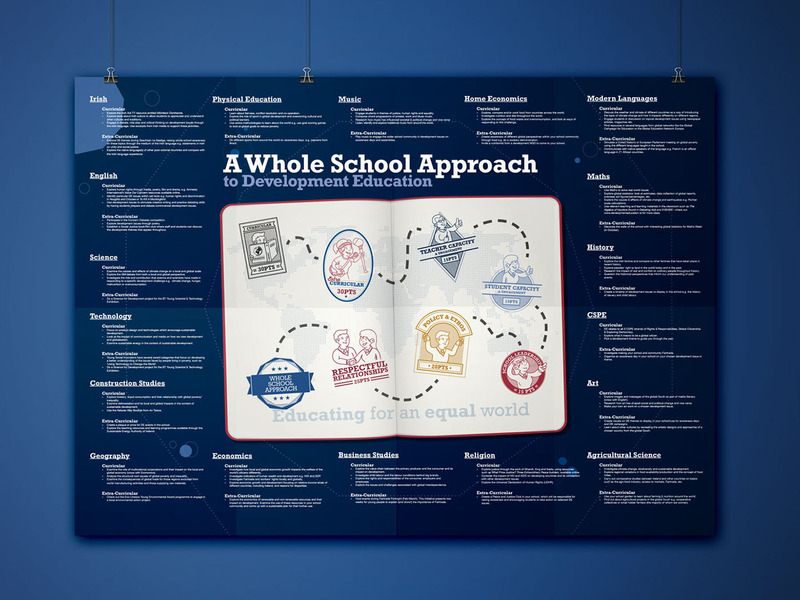 The wall chart details areas in which development education can be applied to their subject of choice.